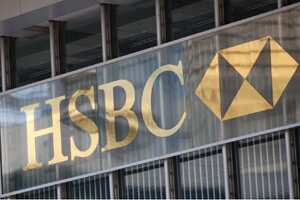 London: Britain’s financial regulator slapped a £10.5 million ($16.4 million) fine on HSBC Holdings Plc. on Monday for mis-selling products to elderly customers paying for care home costs, the biggest-ever fine for a retail banking offence. Advice given was unsuitable because in many cases the life expectancy of the individual was below the recommended five-year investment period. The average age of NHFA’s customers was almost 83. The fine comes at time of low public trust of banks following the financial crisis, which required taxpayers to bail out lenders in several countries. In Britain, banks are also having to pay billions of pounds to compensate customers wrongly sold payment protection insurance (PPI), which allowed borrowers to keep up debt repayments in case of loss of income. “NHFA was trusted by its vulnerable and elderly customers. It breached that trust to sell them unsuitable products. This type of behaviour undermines confidence in the financial services sector," said Tracey McDermott, the FSA’s acting director of enforcement and financial crime. The FSA said 2,485 customer were advised to invest in the products, and unsuitable sales had been made to about 87% of them. Some £285 million was invested during the five-year period, or an average investment of £115,000. HSBC Actuaries and Consultants Ltd (HACL) bought NHFA in 2005 and the business was transferred to HSBC UK Bank operations when HACL was sold in 2009. NHFA gave advice through a network of between 15 and 31 advisers on structuring finances to meet care costs, and advised around 11,000 customers during the period under review. “This should not have happened and I am profoundly sorry that it did," said Brian Robertson, chief executive of HSBC’s UK business. “We are undertaking a full review of the advice given to impacted customers and I can guarantee that every customer who is found to have not been treated fairly will not be disadvantaged." HSBC closed NHFA to new business in July, it said.